Yes you need prenatal vitamins in your first trimester. In fact it is super important that you take your prenatals with folic acid to help prevent neural tube defects. Current studies have even shown that it may be beneficial to take prenatal vitamins before conceiving. I prefer the gummy ones because that actual pill prenatal vitamins made me extremely sick to my stomach. These helped both with the nausea and constipation. They were actually a lifesaver since I could barely keep anything down for about 1 month before I started Zofran and then someone suggested using probiotics. I continued taking these throughout my pregnancy and it helped with nausea, constipation, bloating and even heartburn. Plus they are so good for your gut health I am still taking probiotics daily not. 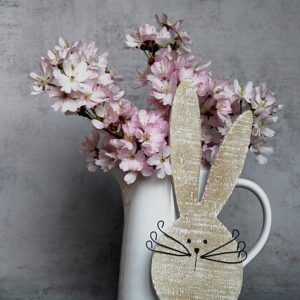 These ones from Pink Stork are my favorite! Really if there is anything you need to have during the first trimester and beyond it’s probiotics! Some people feel better when they have a doppler at home to listen to their little one’s heart beat. Moms in my mom group raved about having one. I personally did not have one for Avery’s pregnancy because I was high risk and got frequent ultrasounds but for those moms that I know that had one, they loved them. Now if you can’t hear the heartbeat and you are before 12 weeks, don’t panic. You may not always hear a heartbeat before the 12th week of pregnancy. 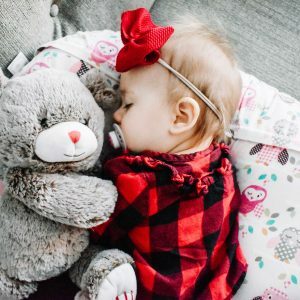 The one all the moms in my mom group talked about can be found [ USA Shipping ] Upgrade Portable Home Use Baby Sounds Listener “>HERE. If your a second time mom you may start to show much sooner then you did last time. I loved my belly band because I could leave the top button open on my pants when I was feeling a little extra bloated. I actually used the same one through my entire pregnancy with Avery and for a little while afterwards so you get a lot of use out of it. Might as well get comfortable now and get your hubby used to sharing the bed with your giant body pillow. These things will help make sleeping a little easier the further along you go into your pregnancy. Once your belly starts expanding, sleep becomes a little more difficult. These pillows are designed to wrap around your body and help support areas that need a little extra support. There is also a wide range of variations of this type of pillow but my favorite is linked Restorology Full 60-Inch Body Pregnancy Pillow – Maternity & Nursing Support Cushion with Washable Cover “>HERE. One thing I wish I had done was write down important milestones during each pregnancy. Sadly I didn’t and I regret not having that record of how I felt and when appointments were. If I were to have another baby I would grab one of these gorgeous pregnancy journals and keep track! I was drinking water like crazy during the first trimester which also meant that I was peeing like crazy. Despite this it is so important t drink tons of water. I found having a water bottle with me wherever I went helped me keep up with my water intake. Bonus, reusable water bottles are way better then plastic water bottles on the environment. So drink your water and save the planet! I love the CamelBak without the straw because they are durable (I drop things all the time), leak proof and BPA free. Get a good lotion whether it just be for stretch mark prevention or overall skin moisture. I personally don’t feel like stretch mark creams work but I think it is so important to moisturize your skin while pregnant. Hormones tend to dry your skin out making it dry and itchy. A good lotion can help combat that. I love Burts Bees as well as Earth Mama. We all know that the internet can provide a mass of information at your fingertips but so can a good old fashion pregnancy book. Google your symptoms and 9 times out of 10 you will have diagnosed yourself with some incurable disease. That can be extremely scary when your pregnant. 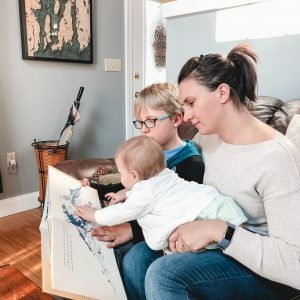 I personally love What to Expect when your Expecting because it really covers everything that you need to know for your pregnancy, especially if your a first time mom. 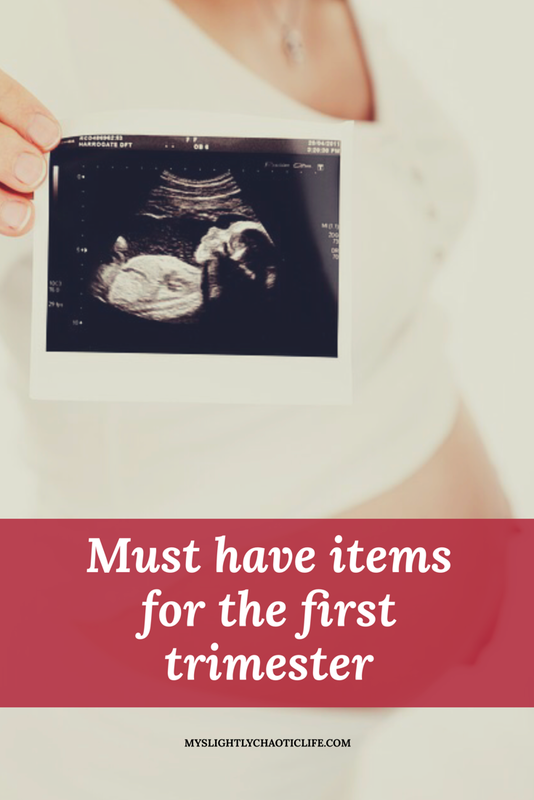 What items did you find necessary during your first trimester? Let me know in the comments below! First. Your name is awesome. 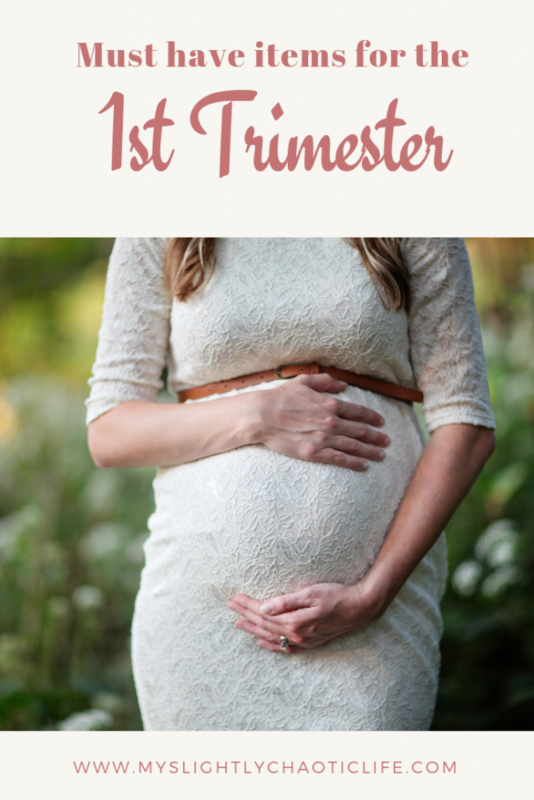 This is a great list of must haves for the first trimester! I take a multivitamin daily (not pregnant) but for my health! I find this list overwhelming as I’m not expecting any baby yet…. Thanks for the tips, by the way. I’ll take note of these soon when I’m ready to conceive. 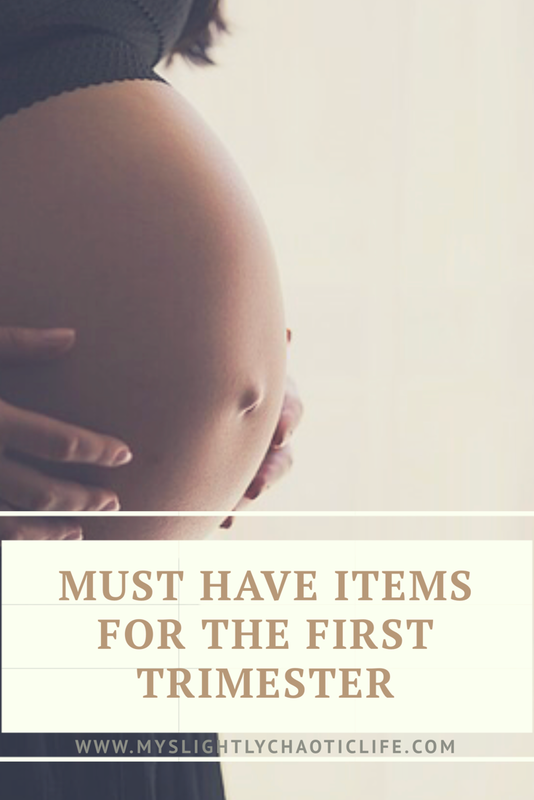 This is a great list of must haves for the first trimester. Though I am yet to be married and be pregnant it is a good training for me. This is a really interesting post. I’m not pregnant and I don’t expect to be for a few years but this is definitely something I will keep in mind and I bet it will be super useful for first-time mums. Being pregnant is really hard most especially the first trimester it really gives you a lot of difficulties. I agree with you on all of those essentials that a pregnant woman should have. I think this is a great list for any future moms who just found out they are pregnant. I don’t have children so I wouldn’t know what it’s needed in the first months of pregnancy. Thank you for sharing!! My friend is in her first trimester, and I’m def sending this her way! When I was pregnant, I had every item on this list. 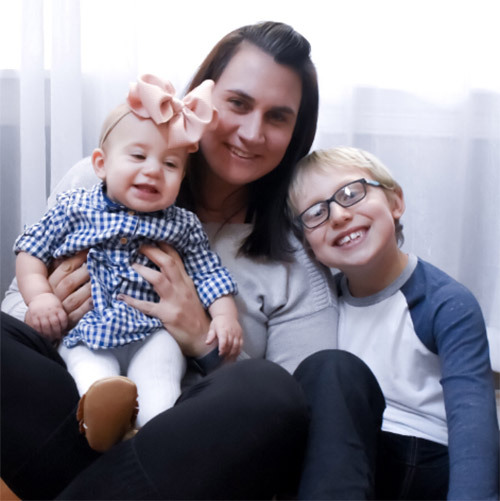 These are all great products to not only get you through the first trimester but the entire pregnancy.